Am happy because it is Terrific Tuesday and I get a chance to bond with my sweethearts (yes of course you who is reading this is one) ;-). Anyway, on Sunday I planned out a few things that I want to accomplish by the end of the week and so far am proud of myself. This ‘one step at a time’ notion is totally give me excess chakra! as in plentiful energy. If I do not get what I want by Sunday then I might as well burn myself because I will have totally lost the meaning of belief in myself, because i do believe in myself. My energy has just been creased by disappointments and shut doors in life. It is like knowing the answer to a grand question in class and you do not want to say it because you fear you might be wrong. That kind of “stressnai” (yes I watch Love n Hip hop Atlanta and am in Scrappy’s game), that’s what I mean. So locked out, unable to let yourself out yet you can rule the world because you have the power to. Sooo…I got an epiphany last week when I was hanging out with a very special person. He asked me a simple question, “What do you want?” You would not believe how dumbfounded/tongue-tied I was because the processing speed of my mind was amazingly slow and he was like jet that took off a minute ago and landed a minute later in Istanbul (dont ask why I chose this destination because I do not freaking know…hehehe). Anyway, what I mean is that he wanted an answer fast and I still had none. I know y’all girls at this point would probably kill me because you already have a list of flashy things you would blurt out in this situation but they were on my mind, it is just that I did not need them as answer for that question. I needed something more self-fulfilling, something that would leave a mark, if God forbid, I would die the next day. This special one brought things to perspective and I realized that my life was all over the place and I had not defined my goals clearly. I mean, who wants to be an old irrelevant sucker?? Hell no! I aint about that life. So, a question to you, what do you want on your birthday? Hint: something tangible, something worthwhile, something you will look back and make a toast to it in the future. So this week’s edition we will be featuring an amazing, beautiful and powerful songstress a.k.a diva. I know how men drool over Beyonce but sorry booboos, LANES!! Unless of course you shoot Jigga off his throne. 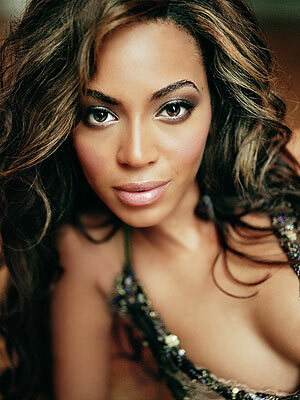 Beyonce has it all covered, I mean from her singing to her performance on stage..Daymm! Mad respect for this woman and she is one of those perfectionists who know the real deal. They make you pay for what is worth it. That is why am featuring her inspirational track “I was Here”. Written by Diane Eve Warren, this song leaves you no choice but to desire to be a legend who would change lives in the world. Diane Warren is a prolific songwriter who has received a variety of award nominations grammy,Golden Globe, academy,,you name them. She has also been successful enough to win some…bottom line, she is fantastic. To team up with Beyonce on the track “I was Here”, they definitely need your attention. Ask yourself what mark you will leave in the world when you are gone. So I hope you enjoy beautiful people. mwaaa!